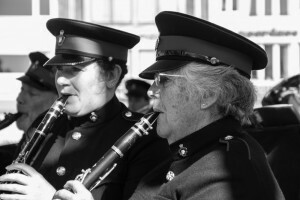 We are an open band community who are looking for new friends and players for the next year. We are looking to recruit woodwind and brass players. 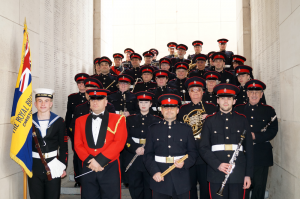 If you are interested in joining us then please contact Laura Morgan (Band Secretary) on 01202 466932 and arrange to come along to one of our Tuesday evening rehearsals in the Christchurch Royal British Legion Ballroom. Branch Committee Award – for the band member who has made a big impact on the management of the band or help the Branch within the year. Player of the Year – as chosen by the committee and Band Director. Most Improved Player – awarded by the Musical Director. 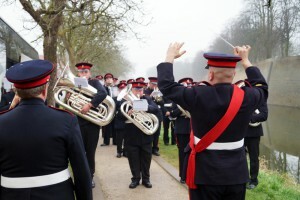 Bandsman of the Year – as voted by the members of the band. The music that the band performs is very varied. We are also constantly updating out musical repertoire so that we are learning new pieces for several concerts each year. This means that the music is constantly ‘new’ to all the band, which is intended to allow newer band members to feel part of the band.